Home Brand Spotlight The Beginning of a Brand: Tiffany & Co. In its first three days of business in 1837, a small shop made a total of $4.38. This shop would later become known across the world as Tiffany & Co. 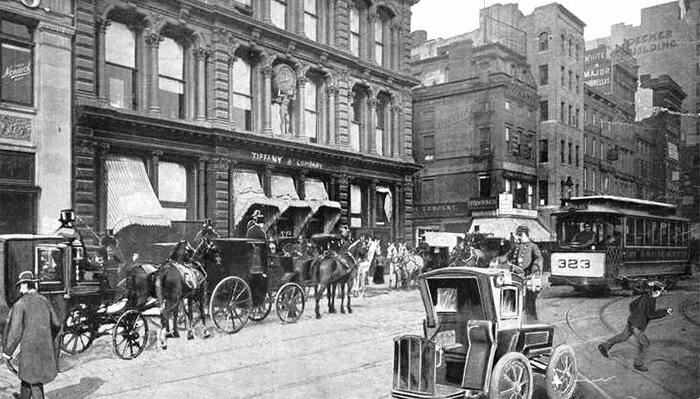 Located across from New York City Hall, the shop’s original name was Tiffany & Young and was a “stationery and fancy goods store.” The store has since moved four times to its present-day flagship store at 727 5th Ave. with an additional 167 stores in different cities throughout the world. For a mere $1,000, the store was financed by Charles Tiffany’s father. From its inception, the store set itself apart from competitors by clearly marking the price of each item to eliminate bartering. In 1841 a new partner joined, naming the company Tiffany, Young & Ellis. At this point, the store also sold stationery, silverware, watches and clocks, among other items. The business had become successful enough by 1845, that cheaper products like paste were eliminated and replaced with fine jewelry. In the 1850s Charles Tiffany bought his partners’ shares an the store was renamed to Tiffany & Co.
Charles Tiffany became known for his pursuit of rare and exquisite jewelry and gems. In 1879, Tiffany purchased one of the world’s largest yellow diamonds, which became known as the Tiffany Diamond. Audrey Hepburn was one of the only two people to have worn this diamond in stills for the promotion of “Breakfast at Tiffany’s.” In 1887, Tiffany purchased French crown jewels and a jewel-encrusted corset said to belong to Marie Antoinette. Adding to his legacy in fine jewelry, in 1886, Charles Tiffany introduced a new setting for engagement rings that later became the standard. 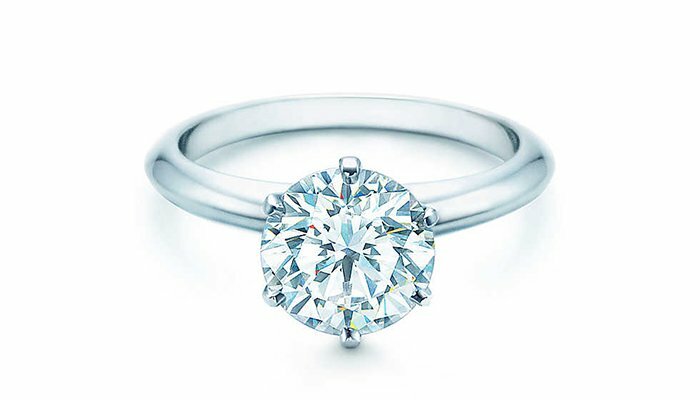 This new setting sets the diamond off the band to highlight the brilliance of the diamond, known as the Tiffany Setting. Mr. Tiffany passed in 1902, but his legacy continued, though not without challenge. During the Great Depression, the Tiffany & Co. stock fell to a low of just $5 a share and eventually was forced to close both its London and Paris stores. The company changed hands twice until it went public, and by 1995 had 18 retail stores in the U.S. and 11 abroad. Now, Tiffany & Co. operates 289 stores throughout the world. Tiffany & Co. is known for designing items for the U.S. government such as the Congressional Medal of Honor, the highest military award and, in 1885, the redesign of the Great Seal of the United States on the $1 bill. Other commissioned items include the Vince Lombardi Trophy, the trophy of the Super Bowl champion, since 1967.